The Lakers reportedly offered Michael Beasley, Rajon Rondo, Kyle Kuzma, Lonzo Ball, and a first-round pick for Davis. Reports noted that the Pelicans view that offer as a lowball. Sources that spoke to ESPN said the Pelicans have not responded to the trade proposal. Despite the lowball, the Lakers are still reportedly Davis’ preferred choice for now. One of the biggest names in the NBA will reportedly not re-sign in one of it's smaller markets, as Anthony Davis has made it clear that he no longer sees a future in New Orleans. Through his agent Rich Paul, Davis has gone public to say he wants to play for a championship contender, and that he wanted to be honest and clear with his intentions to leave. He is still eligible to sign a five-year, $240 million supermax extension in the summer, while he can choose to become a free agent in the summer of 2020. Meanwhile, New Orleans has not expressed any interest in trading him before the Feb. 7 trade deadline. The announcement opens up the door for a potential trade down the line for Kyrie Irving, or the opportunity for Davis to join LeBron James in Los Angeles. 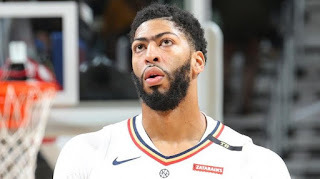 It should be noted that LeBron and AD share the same agent, while the Lakers have been vocal about their desire to acquire the 5-time All-Star and former NCAA champion. All the same, it goes without saying that every NBA team will be interested in Davis now that he's officially on the market.